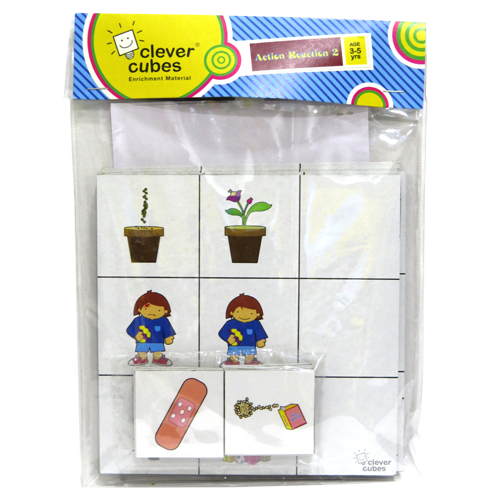 Action Reaction 2 .:: Clever Cubes - Online Shopping ::. A series of paired pictures depicting a before- after situation are given. The child's task is to figure out what caused the changes from the clue cards provided. 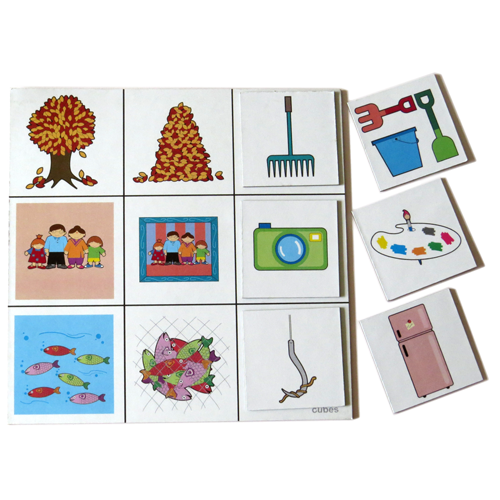 This game not only helps in improving visual perception and development of vocabulary but it also pushes the child to think logically.